ANTHOLOGY II screens August 2nd! Friends, Romans, poets: we are pleased to announce that ANTHOLOGY II, the second annual Parallel Octave short film compilation, will screen on Thursday, August 2nd at the Creative Alliance in Baltimore. Free admission! Drinks at 7:30 PM, screening at 8:00 PM. And look! There’s a trailer! It’s a music video! It’s a Greek chorus! It’s ANTHOLOGY II. For the second year running, the Baltimore-based chorus Parallel Octave has invited filmmakers to create short films based on recordings of poems. This year’s <strong>ANTHOLOGY II will feature animation, stop-motion and live action, both student and professional filmmakers from Los Angeles, Maryland, Minnesota, Utah, and Wisconsin, and the poetry of Emily Dickinson, Edna St. Vincent Millay, Yehuda Ha-Levi, T.S. Eliot, and many more. 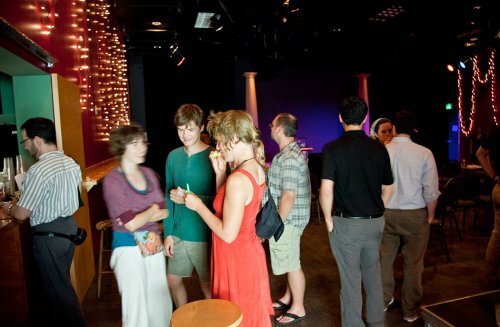 The audience from last year’s screening of ANTHOLOGY I, at the Creative Alliance. Photo by Lloyd Lowe. The ANTHOLOGY II film will premiere on Thursday, August 2nd at 8 PM (snacks and drinks commence at 7:30) at the <a href="http://www.creativealliance.org“>Creative Alliance. The screening will be accompanied by a live performance and recording session with Parallel Octave, in which the audience will be cordially invited to make some noise and record a poem with us. Everyone who attends will receive a kazoo, a noisemaker, a free copy of the poems and the film soundtrack–and, of course, free admission! All ages, including children, welcome. http://www.paralleloctave.com; www.creativealliance.org. 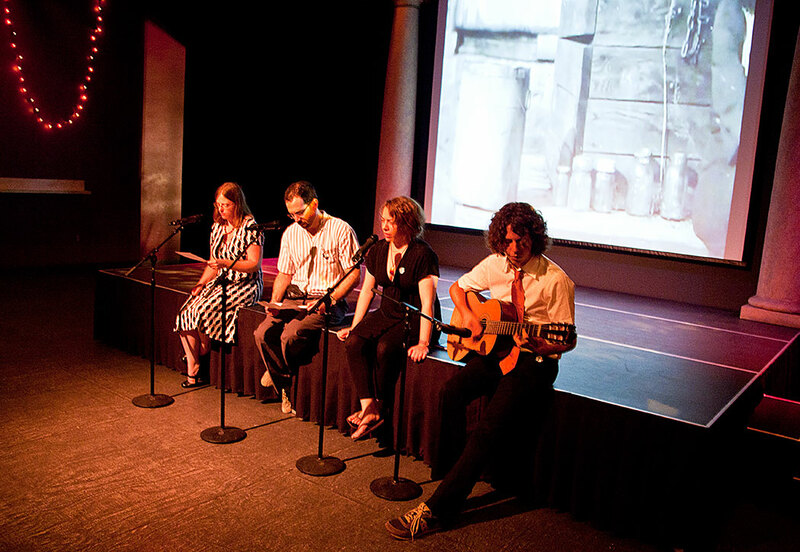 Parallel Octave performing live, with the audience, during the 2011 ANTHOLOGY I screening: Adam Gray’s film “The space between her eyes and mine,” based on Hart Crane’s “My Grandmother’s Love Letters,” in the background. This year’s event made possible due to the generous sponsorship of the following Johns Hopkins departments and offices: Film and Media Studies, Summer Programs at JHU, Writing Seminars, and the JHU Libraries.